In recent years, Ghanaian star King Ayisoba ascended the West African pop charts with his futuristic approach of traditional styles. 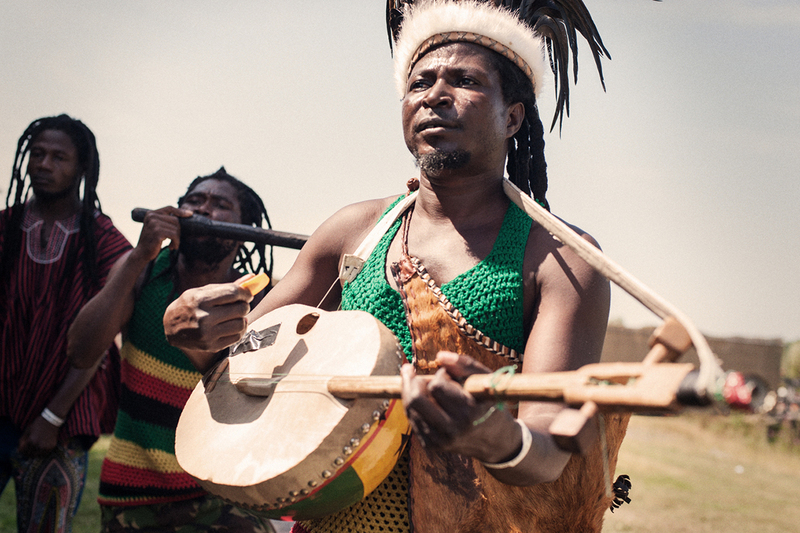 A master of the ancient kologo instrument - a two-stringed lute -, King Ayisoba creates a vibrant mix of local highlife music, urban sounds like hip hop, and tribal music. Characterized by his distinctive, gritty voice, King Ayisoba’s performances are raw and energetic, merging the spirit world with the painful origins of Kologo music.